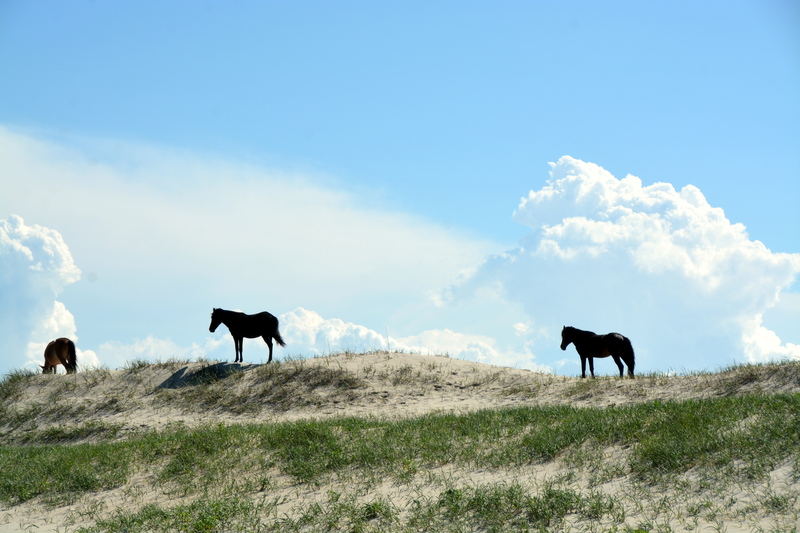 This entry was posted in OBX Wild Horses, Traveling Days and tagged wild horses of corolla nc. Bookmark the permalink. Incredible Dianna! And I bet he was pulling the seaweed up to sling on his back to keep flies off. 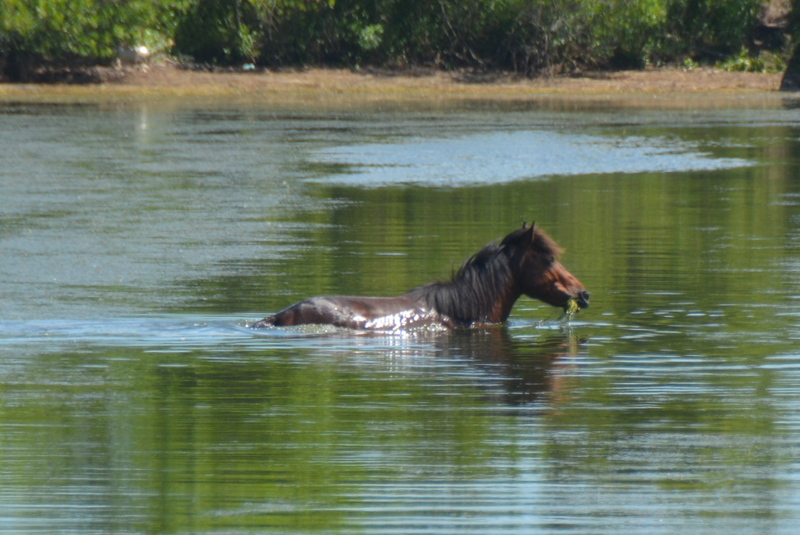 They like to roll over in mud to get on fur to keep flies away so sawed to do same thing?- amazing to imagine. I am just guessing. .Every picture was wonderful. I liked the hill and clouds, like the opening scene of a Western. Glad swcond attempt stellar! 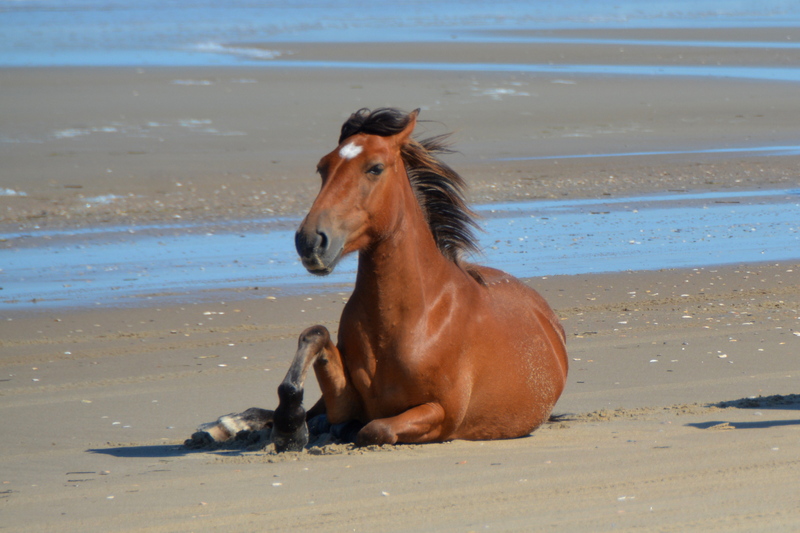 Great photos of the horses….in and out of the water…..I’m glad the beach was in better shape this time for driving…..you were able to get some wonderful shots of sunbathing beauties! 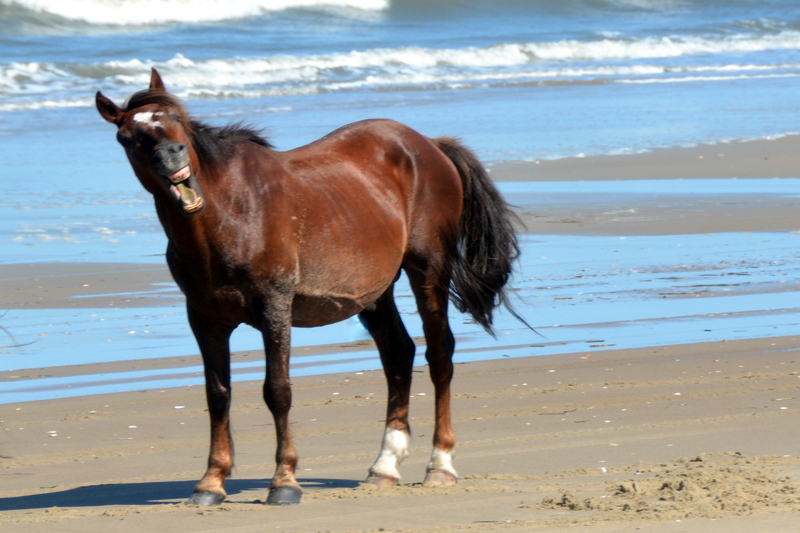 I’m glad you had a successful beach day with “your” wild horses! 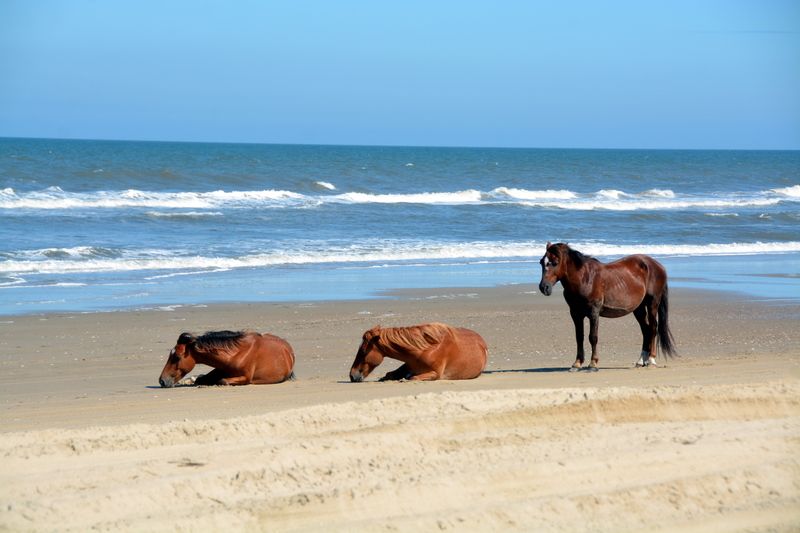 Love the three on the beach. Beautiful photos. All lovely – but especially that first photo! All the pictures are grand, Dianna, but the first one is amazing! So happy you had a wonderful Birthday!! Looks like you hit the jackpot! 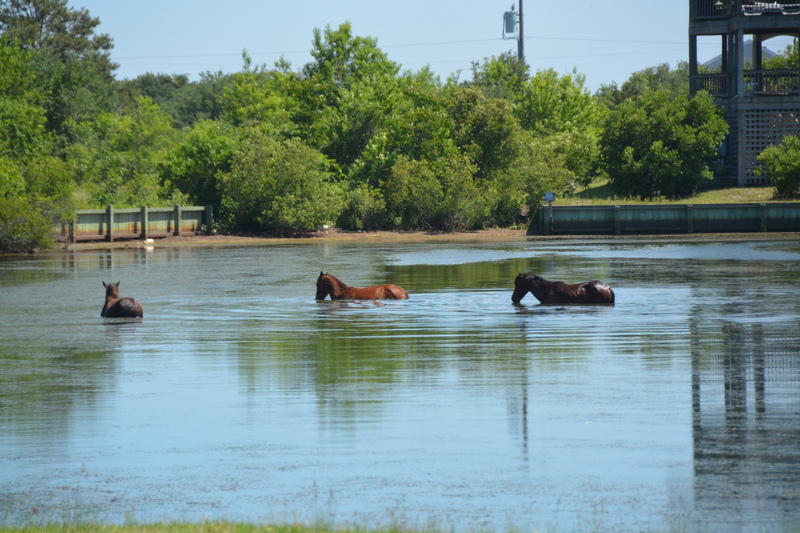 Love the horses taking a dip. Glad you got another ‘take.” It definitely was worth it — loved these photos! Wonderful! I can’t choose a favorite – each one is amazing! Ahhh, what a wonderful post and pictures. I’m so glad you got your birthday wish! !